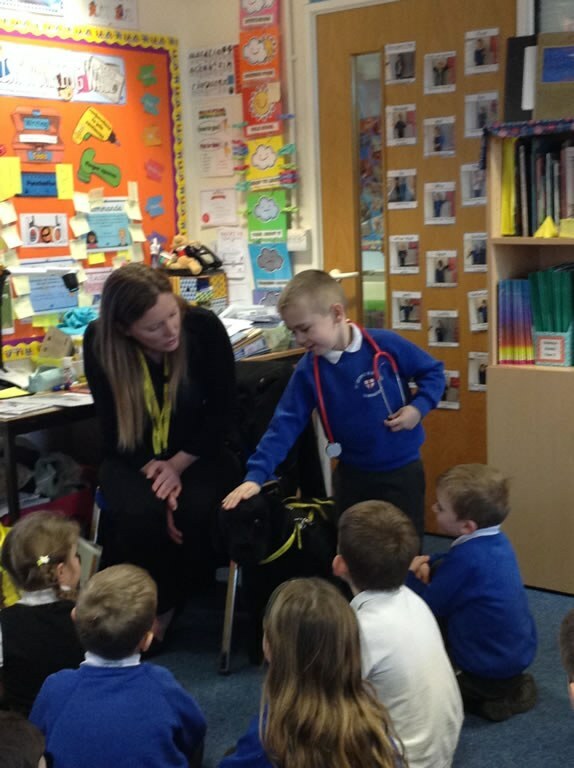 We were very lucky to have Emily from The Dogs Trust pay us a visit this week. 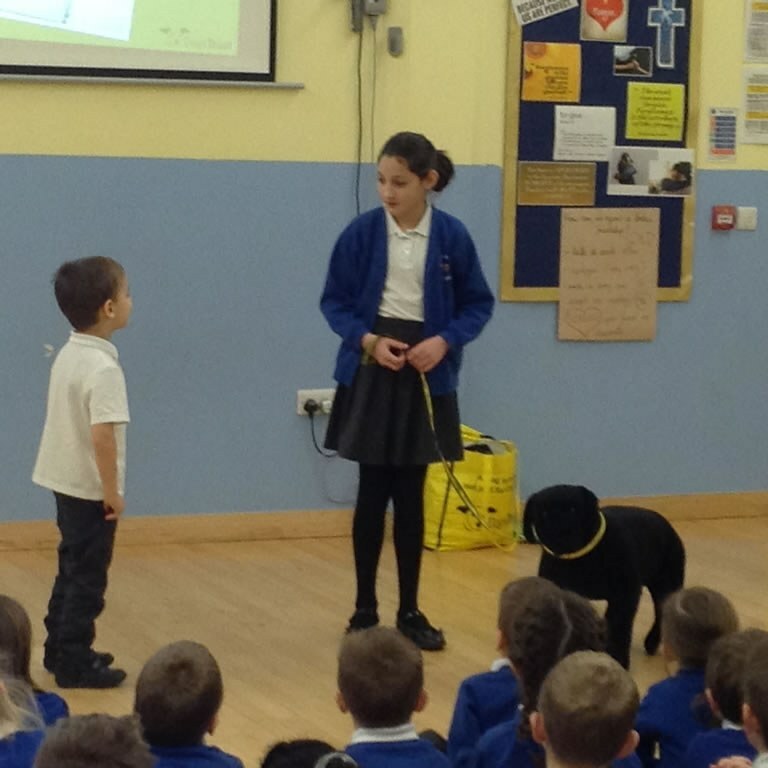 She came and led an assembly at the beginning of the day to tell us all about staying safe around dogs when we are out and about, which was really useful to know. 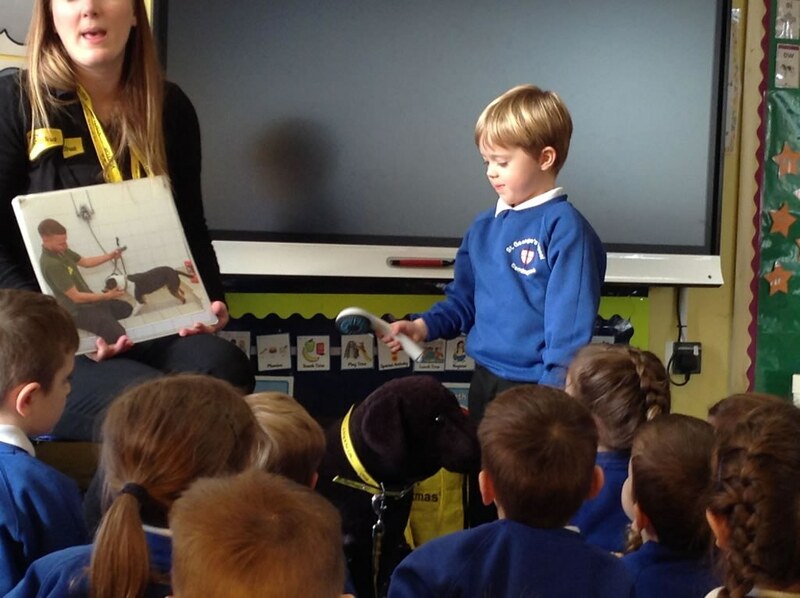 We all now know the meaning of Dogs Trust ‘X’ Factor now! 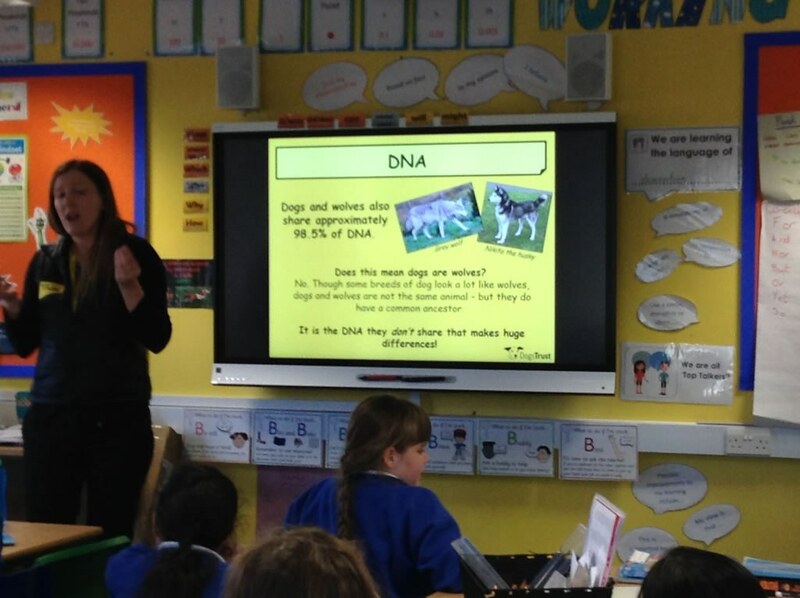 We also learnt lots of facts, for example that there are 9 million dogs living in Britain – incredible! Then Emily spent the rest of the day with us in our classes. 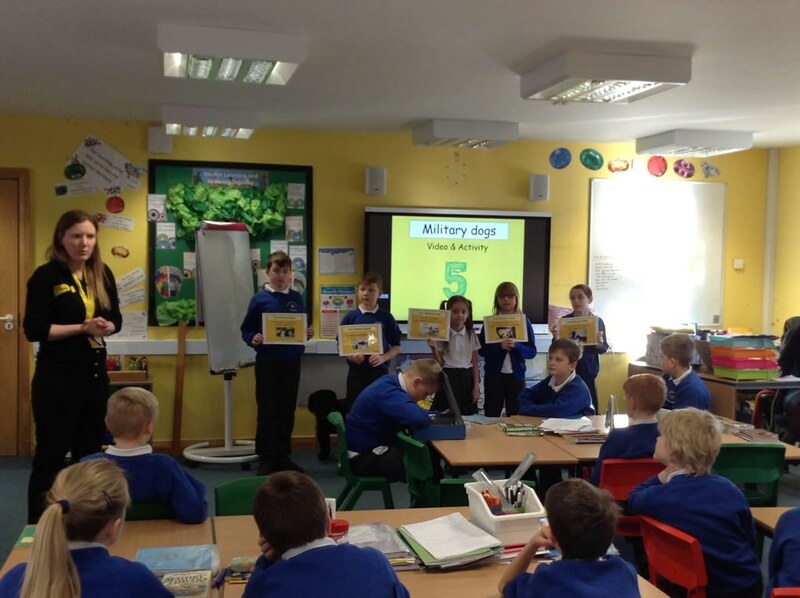 Swans learn all about how dogs helped the military during World War Two, Herons and Ducklings learnt how to look after a dog and Kingfisher learnt all about the Evolution of dogs and about different breeds. All in all a very dog friendly day! Lights Camera, Action! Ducklings’ Mud Kitchen is Open for Business! Say Cheese!